The convenience of plastic, the benefits of cash. It works just like your checkbook only it's faster, easier and more convenient than writing a check. Your Instant Cash and Check card looks like a credit card but works like your check because the purchase amount is automatically deducted from your checking account. Apply for yours today. 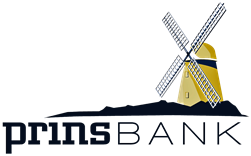 It's available with no monthly charge from PrinsBank.